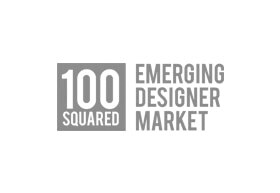 100 Squared Emerging Designer Market is the premier location for Australia’s hottest new designers. With fashion designers sourced from markets, garages and runways and provided with an opportunity to showcase their brand and product to a large retail market. 100 Squared delivers the emerging designer an opportunity to showcase their inspiring and interesting work while presenting you the customer with a unique interaction and insight into people, brands and shopping to fulfill all of your fashion needs.